This is the fourth part of a series wherein I share my notes on the panels I attended at January's convention of the Modern Language Association. Here is part one. Here is part two. Here is part three. The “classic impairment groups” are a fairly small subset of disabled people; the disability world needs more coalition-building. Finding a voice has been hard—we’ve seen a lot of “speaking for” and of silencing marginal voices. Singer, following Henry Sidgwick, thinks ethics should adopt a universal point of view (vide Practical Ethics) and ignores particular lives. A position such as that of HMJ, an actual disabled person speaking out, is still a rare thing in Scandinavia, where disabled people are supposed to disavow their particular bodies and experience. HMJ also raises problems with coalition-building, which would necessitate being able to speak for others. . . . . naming our enemy, which would include neoliberal arguments, Big Data, and the View from Nowhere, which is in fact the view from a putative center. If the goal is to seek acceptance of one’s vulnerability, one may want to go beyond one’s species . 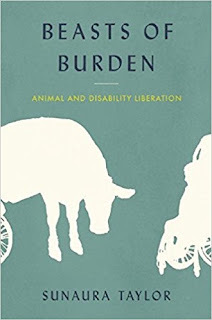 . .
See also http://www.hf.uio.no/ilos/english/research/projects/biopolitics-of-disability-illness-and-animal/ for more info on Lundblad, Grue, and Goodley’s work in progress. 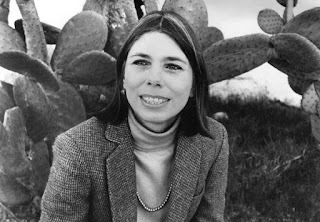 Rosemarie Garland-Thomson wanted to give some historical context for how two opposing and intertwined forces, liberal eugenics and individual human rights, present us with a conflict. The Old Eugenics of 1883 – 1946 entailed a negative eugenics, founded on ideas of the Best and the Worst, and ultimately the destruction of those unworthy of life, culminating in the euthanasia projects of you-know-who. More recently the emphasis has been on a positive eugenics that sought to improve the reproduction of the Best. People, contra Arendt’s principle that “Political regimes ought not to determine who should and who should not inhabit the world,” sought to reward the reproduction of the worthy. Savulescu says we have a moral obligation to create children who have the best chance of the best life. Medical science and technology carry out the new eugenics in the name of the autonomy of the parent-as-patient. These principles increasingly standardize human communities and eliminate diversity. Consider Singer’s frank “We think that some infants with severe disability should be killed.” Eugenic selection creates a culture of intolerance and violates the common good. Human rights covenants starkly contrast with the eugenic ideals of The Best and The Worst, for all that their implementation always falls short of aspiration. Human rights conventions assigned disabled people the status of human subjects—the U.N. Convention on the Rights of People with Disabilities affirms that every human being has the right to life and commits to the equal, not differential, worth of people with disabilities. Vide Habermas’s anti-eugenic argument in The Future of Human Nature and Michael Sandel’s Case Against Perfection. We seek a political rather than a pathological understanding of people with disabilityes. “To conceptualize not merely a habitable body but a habitable world,” as Nancy Mairs wrote. There’s a lineage from Arendt to Harriet McBryde Johnson, whose work makes a case for the right to life of people with disabilities, a claim in opposition to the ideals of “choice” promoted by the utilitarian philosophers of conflicting liberty-interests. Asked about her Old and New Eugenics classifications, RGT said she gets the categories from Daniel Kevles. 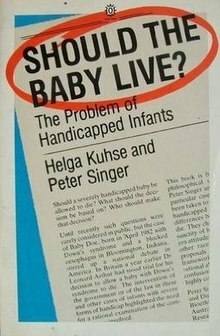 Medical and legal practice privileges parental autonomy and doesn’t even recognize the autonomy of disabled people. RGT is alarmed about how “liberty interests” are leading us all to become normates. Elizabeth Donaldson asked why we need the idea of autonomy? And why don’t we consider people who do messy things with reproductive technology, things that are not in line with eugenic ideals of The Best? 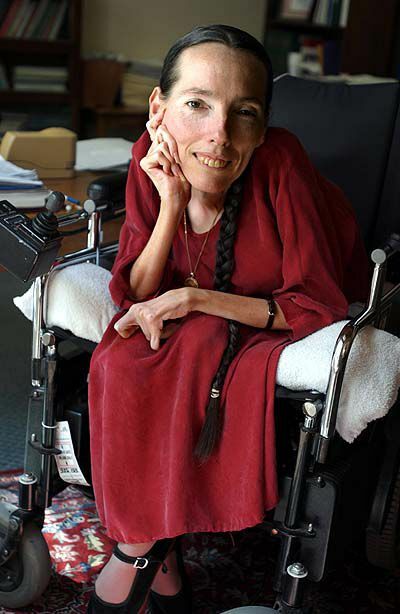 RGT said she was just being descriptive, and it was through human rights that we were able to get anywhere up to now: autonomy, especially patient autonomy, is extraordinarily important. 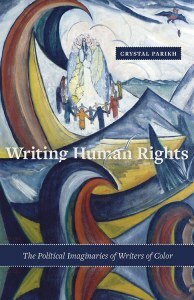 The following day, McRuer recommended that we read Crystal Parikh for a positive view of human rights discourse that answers posthuman objections.